The air quality inside cars on most roads is even worse than the outside air. That’s because the heating, air conditioning and vent system has the effect of concentrating contaminants inside the passenger cabin when it draws in outside air and the windows are closed. Luber-finer® cabin air filters do for the passenger compartment of your car what heating and air conditioning filters do for your home – they filter and clean the air before you breathe. 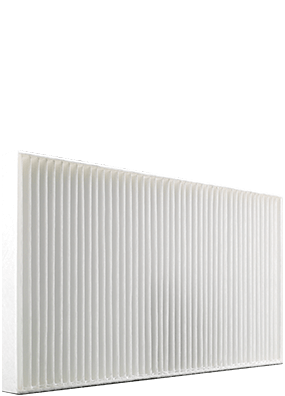 Luber-finer® cabin air filters are designed to meet form, fit and function characteristics for the applications. Like other filters on your car, cabin air filters need to be changed at routine intervals. Refer to your owner’s manual for the recommended filter changing interval procedure or see a professional mechanic.